This is the sequel to Lump of Sugar’s 2008 title Tayutama, to celebrate their 10th anniversary. It has been 50 years since the release of the Tayutai which had been sealed in Ashihara-chou. 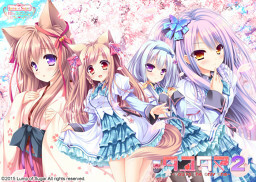 Humans have since acknowledged their existence and the Tayutai have also moved towards living in harmony with humans. The town of Yakotami-chou where Sora lives was blessed with the country’s most favourable spiritual energies. As such, it was promoted as a place where humans and Tayutai can coexist, and underwent rapid development as it took in many humans and Tayutai. One day, Sora happened to settle a trivial fight between a child and a Tayutai. It’s not uncommon to see such occurrences in this town. 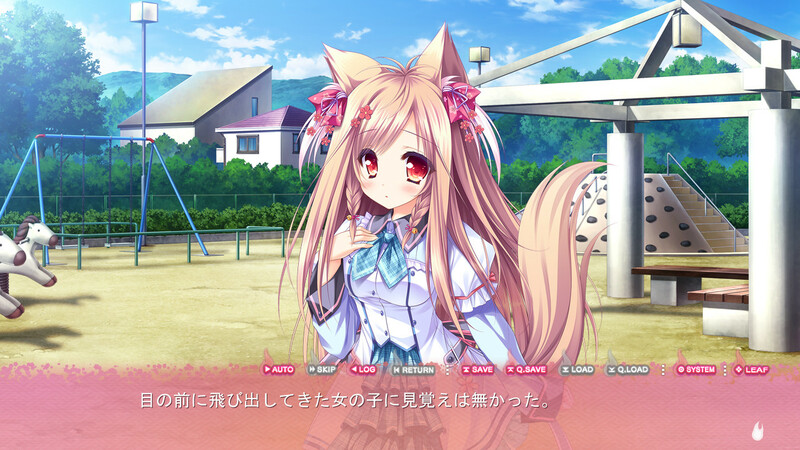 However, he was surprised when a girl with cute ears on her head appeared before him claiming that he was the one she had been looking for. 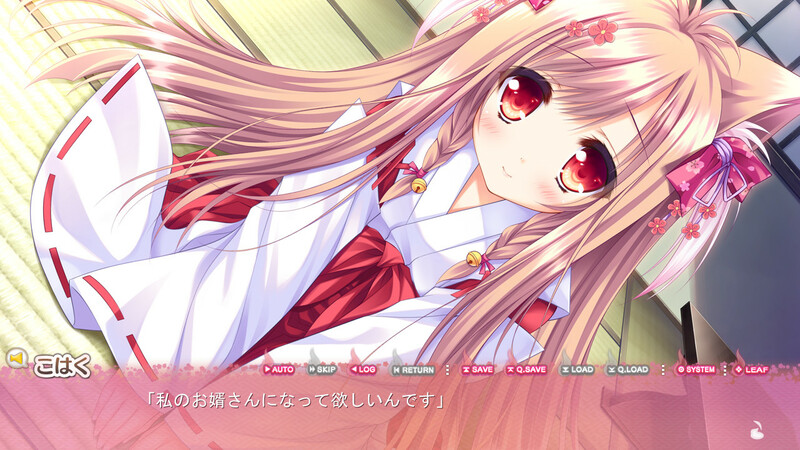 She led him to the Tayutai shrine, Yachimata Shrine, and turned towards him with sparkling innocent eyes. 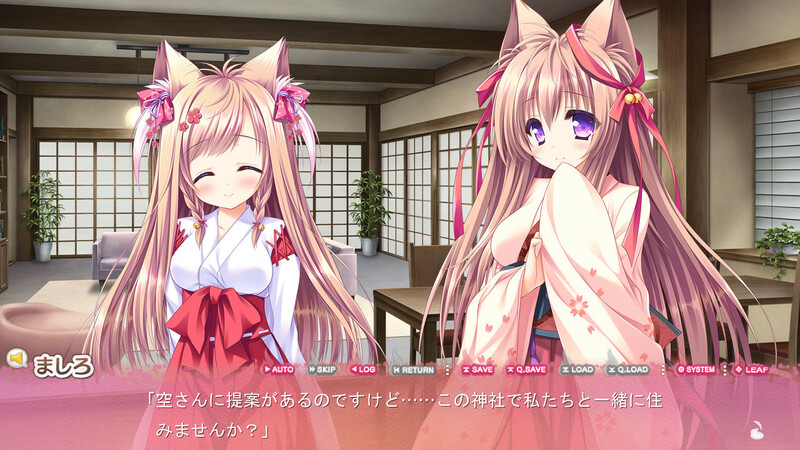 He couldn’t understand the girl Kohaku’s true intention, but after hearing an explanation from her mother Mashiro and deeply impressed with her enthusiasm, he agreed to help her realize her goal of forming the ‘Human and Tayutai Coexistence Society’. The title was originally announced on April's Fools Day, stating it will be announced more on 20015. Lump of Sugar later revealed that Tayutama 2 is a real project in work and planned to be released in 2016. TBA All ages Tayutama 2-you're the only one- ENG ver. 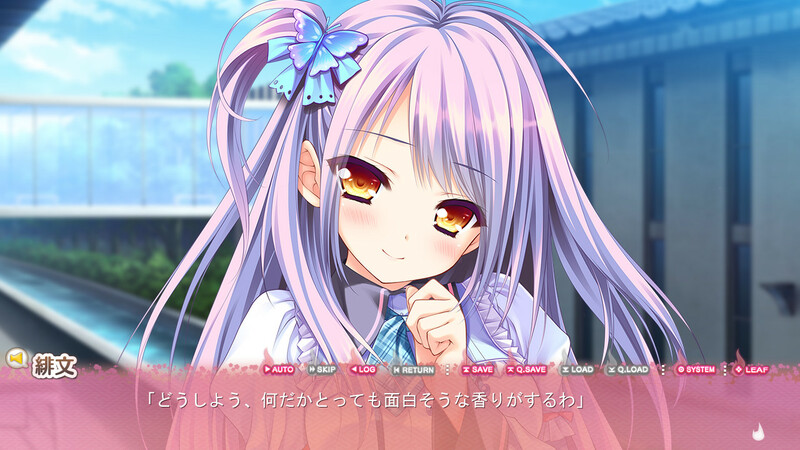 KiccoOP "Amazing sky", PS4/PSVita OP "Blue Horizon", Hifumi's Insert song "Mahou no Kotoba", Kohaku's Insert song "Shunshoku no Kiseki", Mashiro's Insert song "Towa no Sakura", Nano's Insert song "Namida no Mukou", ED "Owaranai Kirameki o"
"So because it's so fraught with danger that even the Earth might be destroyed, we should abstain from cleaning."